Online casinos offer impressive bonuses and that’s one reason why we play online slots. However, every casino wants to make profits, so it’s important to prevent bonus abuse. Let’s talk about how to have fun without abusing casino bonuses. Different casinos define “bonus abuse” in different ways. Some define it as the violation of bonus rules while others define it as bad practices that are not clearly defined as illegal. Other casinos describe it as advantage play. You must read and understand the relevant requirements before claiming bonus offers. The T&Cs of a bonus ensure fairness and a casino can withhold your bonus winnings if you break the rules. Therefore, you should follow the rules and adhere to bet limits. Also, contact the casino’s representatives if you need help and try your luck somewhere else if they are unresponsive. Casinos like offering bonuses, but sometimes it’s wise to deposit without claiming bonuses. A casino can deny you bonuses if you tend to claim many bonuses on a regular basis. This is likely to happen if the casino offers bonuses with generous terms and conditions. You’ll be called a bonus abuser if you change the size of your bet after winning the desired amount. For example, a player deposits $100 hoping to win $400. She decides to claim a 100% offer and begins with $200. She selects a permitted game like pai gow and places huge bets until she hits her target of $400. Next, she places the lowest betting amount (grinding) until she meets her wagering requirements. Although many casinos offer bonuses, they prohibit big bets because of this behavior. You should avoid it to get more offers. 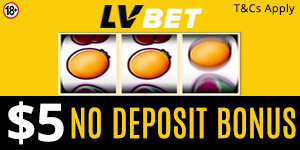 You can withdraw your money immediately after clearing the casino’s bonus wagering requirements. However, the casino might decide to deny you more offers if you do this again and again within a short timeframe. Show some respect by playing past the casino’s wagering requirement if you win after claiming a bonus.